The project links audio clips to the sites each contributor discusses. There’s the boilerplate story of what happened in East New York in the middle of the 20th Century—that families of color moved in, the neighborhood deteriorated, and whites fled. Then there’s what Carlos Bristol recalls. 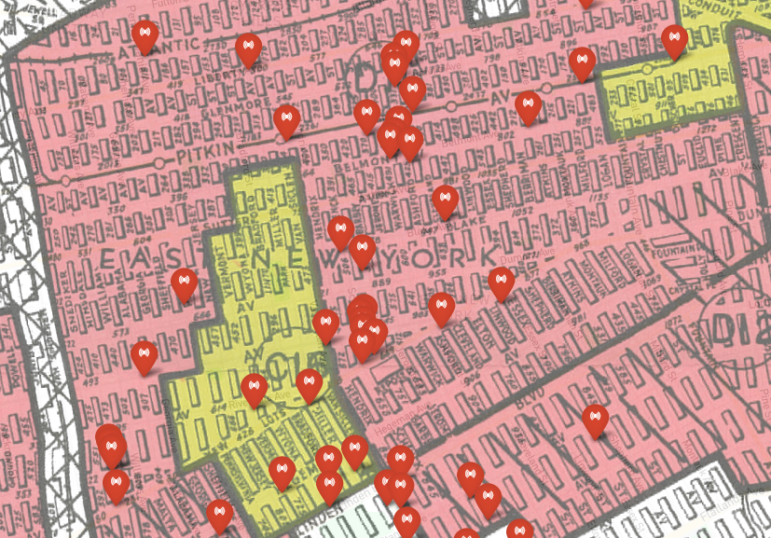 After its 2016 rezoning, East New York faces new changes. That makes it a good time to listen to Bristol’s voice and those of the 18 other people interviewed so far by Sarita Daftary-Steel’s East New York Oral History Project. They’re folks like Anita Faulding was born in the Bronx in 1950 to parents who were leftist Jews, who moved to Linden Houses in 1957 and taught pre-school and elementary school in East New York until 2013, or Conrad Piggott, the product of African, German Jewish, and Taino ancestors, whose family lived in Boulevard Houses from 1955 to 1995 and now lives in Ocean Hill. History often depicts as cohesive waves the social changes that, up close and in real time, look like individual drips and drops. Like what Isaiah Montgomery saw shortly after he and his family moved from Bedford-Stuyvesant to East New York in 1963, becoming—he says—only the third Black family in their section of the neighborhood. Daftary-Steel began working in East New York in 2003, spending 10 years as a staff member of United Community Centers. There she began to hear people’s stories and recognizing the much fuller history they provide than most New Yorkers are taught. There is a larger truth there, Daftary-Steel says. Neighborhood change is less organic than we often depict it. It’s the result of policies that shape the context in which people’s individual choices—some of theme considerably constrained—play out. I spent some early years on Williams street, I attended P.S. 174. I remember some conflicts with the Black kids, but they were “Just Kids” to me and my cousins who were also the same age. A group of my Puerto Rican family moved to East New York from the west village, where they lived after coming from P.R. My family moved to Spanish Harlem in 1964. My friends and I traveled through the Back Yards, over wooden fences and alleys. Thank you for the interesting story. I have only one question. How much of a role did upward mobility play in the relocation of the changing population in ENY? In my families case it was the reason we left we the community in 1967 for suburban Huntington Long Island. I am a baby boomer whose family planned to move to the suburbs from East New York for at least 4 years before then. I remember the move coinciding with the rapid change of the racial makeup of the area in the 1960’s. However, the move would have occurred anyway. My father’s job relocated out in the suburbs, my mother wanted to teach in a suburban district, and my parents wanted a suburban lifestyle and more room to raise a larger family. I grew up in the projects South of Linden Boulevard which were primarily but not exclusively Jewish and Italian at the time. (early 1960’s) — and I DID have black friends over to visit on occasion btw. Although racism was clearly a reason for the change of neighborhood population for many, it was not for us and many of our friends and relatives who lived there. Income is up and poverty is down in Central Harlem, West Harlem and Washington Heights. But those neighborhood-wide numbers don’t capture what different segments of each community are experiencing. Some Planning Commission members expressed concerns during their questioning of city officials.